Did you know that one of the earliest pioneers in generating some design principles to a kitchen space was Catharine Beecher. In her book called A Treatise on Domestic Economy for the Use of Young Ladies at Home and at School, published in 1843, she draws up a kitchen plan based on intuitive ergonomics: windows by the sink, workbenches of the same height, generous shelving, and very clearly dedicated storage spaces for the common items (Noe 2011). 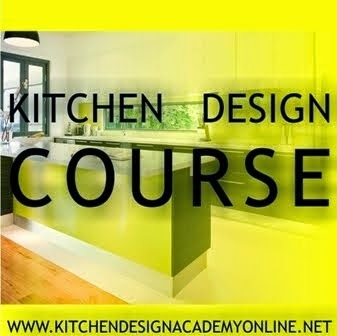 You will find much more in the kitchen course. Born in Venice in 1950, has always shown interest in developing the arts in general with a strong aptitude for artistic studies. A passion for form and color is expressed and strengthened through studies conducted under the guidance of Alberto Viani prestigious Academy of Fine Arts in Venice. In the mid-seventies is established the first Advanced Course in Industrial Design sponsored by the Faculty of Architecture, which is actively involved. In subsequent years is revealed as designer with considerable creative skills and aesthetic sense: the projects are never the result of trivial technical intuition but the perfect combination of form, function, industrialization and exaltation of expressive capabilities of the material covered is composed of the same project. The quest for simplification and while the selection and definition of detail the project define the dictates of his way of doing design: the creative process result-objects are projects with clean lines, strong and always in context to the current socio-political moment without forgetting historical and geographical components. His kitchen and bathroom designs are produced by Lago , Ultom Italia, GD Cucine. DOLMEN - part of the Convivio collection, this kitchen unit was born of the union between the Italian furniture company Lando and Enzo Berti. GD was founded in 1969 by Giuseppe Dolfo, and has built a reputation throughout Europe by making kitchens that easily combine living, cooking and dining entertainment that brings together family and friends. The collection is now available to the US market through an 8,000 square foot, two level flagship showroom in Chelsea. 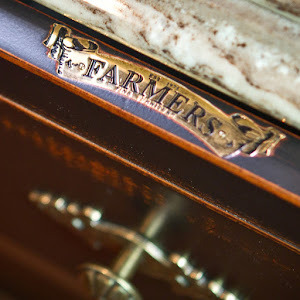 GD prides itself on making kitchens of the finest quality that will outlive the homes in which they are placed. In addition to wood, GD uses an array of materials, from stainless steel and aluminum lacquer, laminate, glass and stone. GD does not stop at the kitchen. As walls come down to make the kitchen a part of the living space, GD has developed its cabinetry to address these other storage palette and great needs, with style. For their bathrooms, GD manipulates their kitchen designs to create beautiful accessories to augment the space experience. GD brings to its customers a rich material technical expertise, from factories adhering to state of the art environmental practice. No matter the style, or area of the home being addressed, GD will build a place from which fond memories are made of. 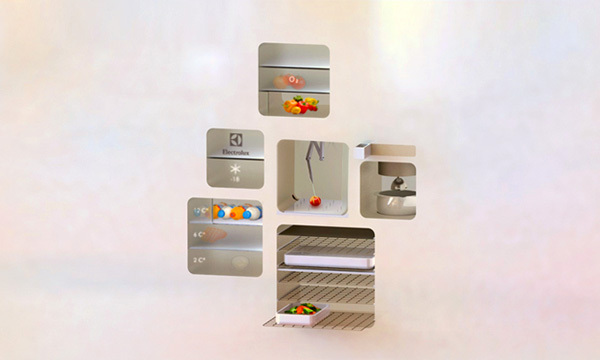 2D Smart Kitchen is a wall mounted kitchen concept that hosts interactive modules and appliances. This full set of kitchen appliances automatically prepares your meals and gives you ample space and time, whist cooking you the perfect meal. The entire wall is an interactive touch screen and showcases recipes and the ingredients. All the doors of the machines are made from illuminated glass. On the touch screen wall you can adjust colors and brightness levels to suit your mood. 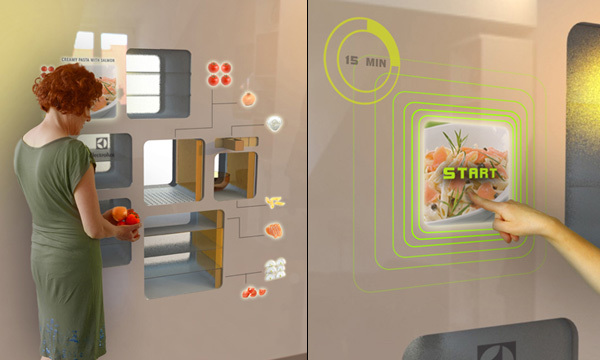 2D Smart Kitchen is a 2013 Electrolux Design Lab semifinalist. With the advantage of spectacular views over the mountains and lake, large windows were clearly integral to the design of this new home. Architect Preston Stevens designed a living pavilion in the centre of the home to maximise views and sun. At one end, sliding doors open onto a balcony overlooking the lake while at the other end and on one side, bifolding doors off the living areas connect to terraces. On balmy days, the whole space can be opened up. For environmental control, a freestanding block wall creating a partial screen between the sitting room and kitchen area and another behind the masonry fireplace act as passive thermal mass storage devices, moderating the temperature in the open-plan space. As the owners like to cook and entertain, the kitchen and living functions had to flow. "With its simple, social island design, the kitchen looks like a piece of furniture. It is carefully and deliberately laid out to meet the owners' brief, and can be closed down to conceal the functions of the kitchen," says Stevens. "One owner wanted to have breakfast at the breakfast bar, while enjoying the view of the mountains and lake." imm cologne is the most important furnishing fair in the global primary furnishing market. Right from the beginning of every year the trade fair presents the new international furniture trends and surprises with numerous marketable innovations. The broad range on offer is combined with high standards of quality and an excellent presentation of the products. The fair also provides an effective platform for young designers. The trade visitors value the trade fair's pronounces business atmosphere and high standards of organisation and services. The days of the fair that are also open to end-consumers provide the exhibitors with ample opportunity for product and market tests, the consumers find information and suggestions. In close connection with the extensive programme of events that will take place all over the city of Cologne, imm cologne is for one week the center of the international worlds of furnishings and design. "Meanwhile it is almost standard practice for modern floor plans to factor in the way the kitchen, dining and living areas are growing together. Open-plan live-in kitchens where the dining table plays a key role are determining the way kitchen design is evolving as well. This is also evident from the way the kitchen is converging with the classic furnishing sector, a development that has made a great step forward with the new LivingKitchen fair (every two years, parallel to the imm cologne). But the growing role of pleasurable body and health care also calls for a more central position for the bathing zone. " For the minimalist industrial look, for the innovative use of materials(stainless steel, painted metal, rubber), for the masterly integration of appliances as texture and colour. A wannabe industrial kitchen gone wrong!